2018 was a long year for many, but a great year for gaming. Now that we’re entering into 2019, it’s time to discuss the best PC games out now – whether they came out this year or not. If that sounds interesting, stick around and we’ll walk you through 25 of our top picks. If you want something that can play all of our selections, consider our gaming PC builds- starting at $500 and higher, you should be able to play every game on this list with ease. With any grand list like this, it’s important to disclose selection criteria. We didn’t get paid to endorse any particular games on our list- we simply selected based on the following criteria. Popularity was an important one, especially for multiplayer titles. Multiplayer is one of the biggest draws of PC gaming and gaming in general nowadays, so we made sure that we didn’t recommend any multiplayer titles that no one else is playing. 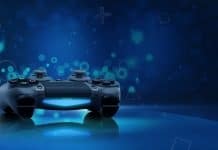 Half of the point of a multiplayer gaming experience is the community, after all, and if there isn’t a community, why bother? Critical reception! Fan reception, too. 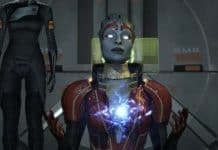 While we’ve personally played each of the games on this list, we definitely understand that our experiences aren’t universal. For that reason, we’ve made sure to stick with games that most people who play them report good experiences with. As long as the biggest criticisms aren’t anything game-breaking, we were happy to recommend them here. Variety was important to us, as well. We wouldn’t want to recommend, for instance, 5 Battle Royale games in our Shooter category. Our goal is to provide a varied selection of games, even when they’re in the same category, to ensure that at least one of the games we pick will be right for you. With no further ado, let’s begin. First up, the most popular genre on PC: shooters. Since time immemorial (or the 90s, depending on your perspective), shooters have been near-synonymous with PC gaming. 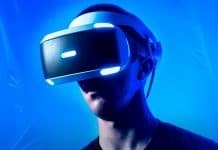 Mouse and keyboard allow by far the best precision and control for first-person shooters, and only PCs were able to push historical greats like the original Doom and Quake to their fullest potential. Shooters remain strong on PC today, and that fact is unlikely to change. Here are our top 5 picks. 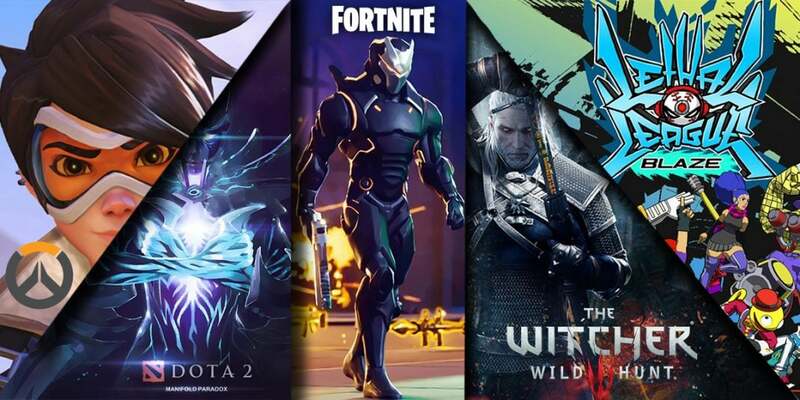 Let’s face it: this list wouldn’t be complete without Fortnite. Fortnite has become the biggest sensation in modern gaming, despite its humble roots. 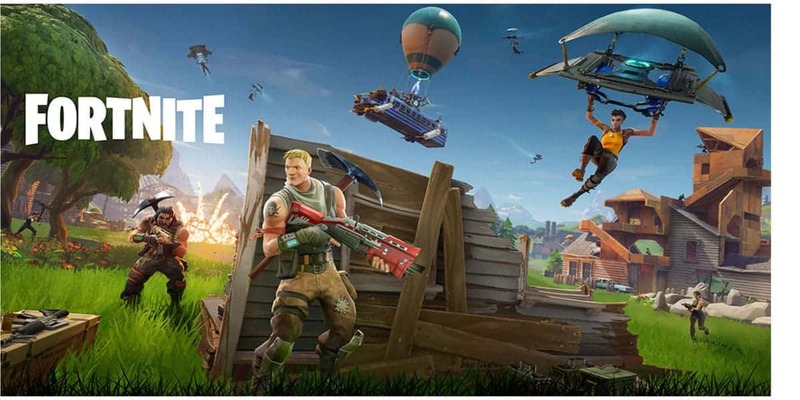 The original, non-Battle Royale Fortnite was a creative hybrid of shooter and base defense that simply failed to capture an audience. The base defense mechanics alongside a free Battle Royale mode instantly skyrocketed this game into popularity, however, owing to the unique depth added to its gameplay. Regardless of whether or not you think Fortnite’s popularity is deserved, it’s difficult to deny that it’s a genuinely great game. The ability to rapidly build structures in a third-person battle royale shooter adds a significant extra layer of depth to the gameplay. Battle Royale was already a growing craze prior to Fortnite, but Fortnite truly established it as a mainstay in gaming. In addition to the base gameplay, commendation must be given on how well Fortnite executes upon the “Games as a Service” concept. Microtransactions are restricted solely to cosmetics- no Pay To Win elements to be seen here, which is refreshing in today’s gaming climate. Even some $60 games have adopted Pay To Win microtransactions, but Fortnite thankfully avoids this in favor of keeping a balanced gameplay experience. In addition to MTX, Fortnite is seemingly constantly-evolving. Major in-game events change the map each Season, new weapons are always appearing all over the place, and overall Fortnite seemingly always has another cool event right around the corner. The main issues with Fortnite boil down to personal preference and questionable balancing decisions. The recent Infinity Blade fiasco, for instance, saw Epic releasing a game-breaking weapon into the game,the same day as one of the title’s first major tournaments. As fun as the game is, we can’t say we recommend it as a particularly serious or balanced competitive experience. Like we did at some of the other shooters on this list. Counter-Strike: Global Offensive strikes a very important balance between military sims like ARMA and arcadey shooters like Call of Duty. 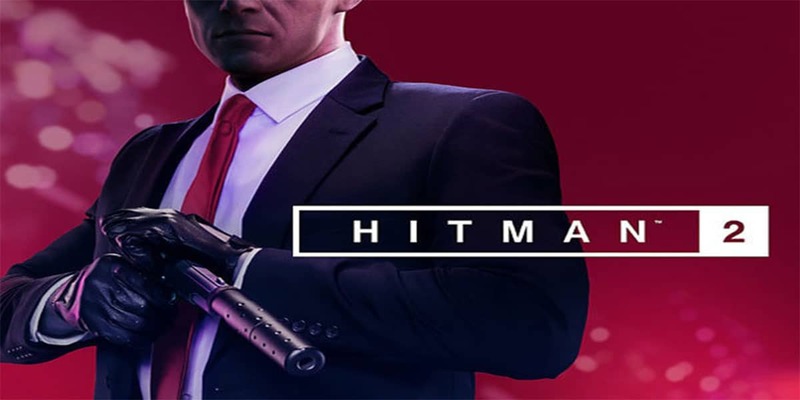 Fast-paced games and satisfying weapons lend to an arcadey, addicting gameplay loop, while elements like recoil and spread control lend to deeper, more tactical gameplay. 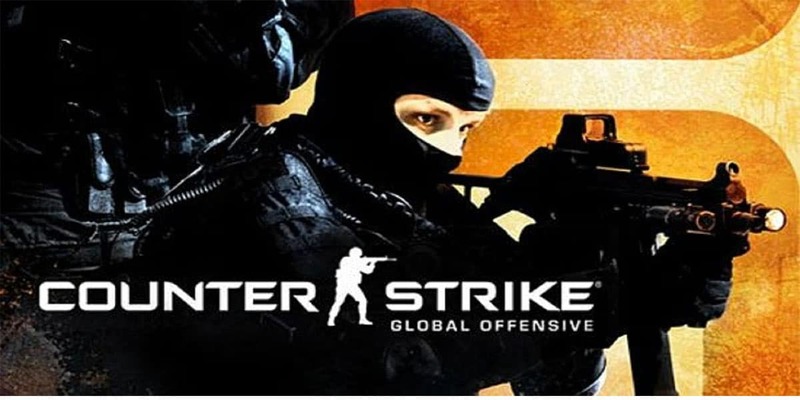 This is a winning combination, and chances are you don’t need us to tell you that: the CS series has been among the most popular in PC gaming for decades now, and CSGO is no different. A shooter would be nothing without amazing game-feel, and CS:GO has this in spades. While it may not be as graphically-stunning as the latest AAA titles, its stellar animations and sound design ensure that nearly every weapon feels amazing to shoot, even moreso when you land kills with them. As a newer player, there is a significant learning curve (especially where the extreme recoil and inaccuracy while moving is concerned), but that also translates to a high skill ceiling. Gameplay-wise, CS:GO has a lot going for it. Don’t expect a particularly stellar execution of “Games as a Service” with this one. CS:GO is not constantly-evolving in the same way that Fortnite or Overwatch seems to be, though some would argue that’s a good thing, considering the strength of the base gameplay. Overwatch was one of the biggest releases in 2016, and it has received continual free expansions in the form of new heroes, maps, gamemodes, and seasonal events ever since then. It’s yet another example of Games as a Service done right, especially since it avoids Pay To Win mechanics like the plague and doesn’t put a paywall on new content like other games do. Of course, you will have to pay an upfront price for this- but Overwatch is usually as cheap as $30-$40, which isn’t bad for what you get in return. Overwatch is a peculiar beast from a gameplay perspective. It has the cooldowns, Ultimates, and fixation on team composition that a MOBA does, but has a lot of the advanced movement and weapon mechanics that a classic arena shooter does. In its best moments, this results in a borderline euphoric combination of shooter and MOBA. In its worst…we’ll discuss that part a bit later. 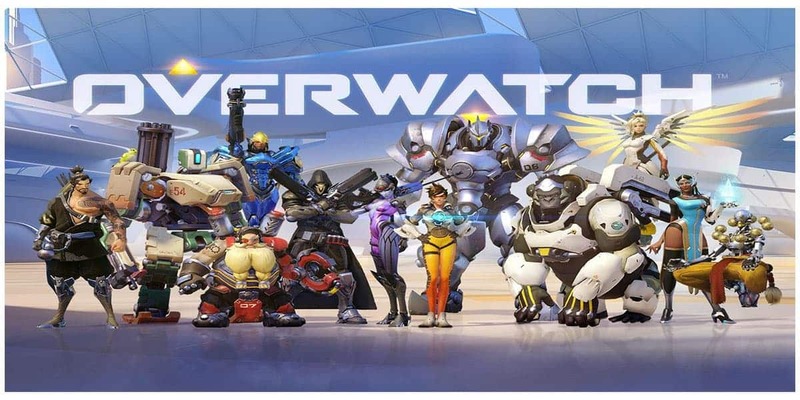 If the idea of a shooter/MOBA hybrid featuring a massive cast of characters with diverse gameplay styles interests you, then Overwatch might be the right game for you. That being said, Overwatch isn’t without its issues, either. Namely, the meta is seemingly constantly-changing, thanks to the regular addition of new heroes. Unfortunately, these heroes are often game-breaking on launch, with the most recent incident involving Brigitte, a hybrid healer-tank-offense hero with little actual weaknesses. Brigitte’s addition resulted in a highly-reviled meta centered around her, and while these problems have since been alleviated, it took months for Blizzard to finally relent and balance their new baby. Additionally, MOBA and arena shooter are two very different genres. Things like stunlocks, giant barriers, and instakills are not appreciated by fans of classic arena shooter games. The MOBA-esque counter picking design also de-emphasizes individual player skill, which is incredibly unusual for a shooter, where individual player skill is almost always game-changing. Team Fortress 2 is the team shooter of team shooters. 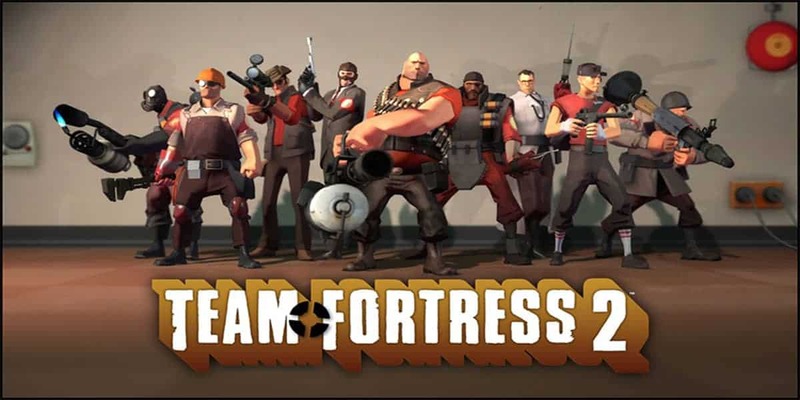 Until Overwatch, other games spent nearly a decade attempting to take TF2’s crown and failing. After nearly twenty years of development (a decade pre-release and a decade post-release), TF2 has become a game simultaneously brimming with mass appeal and near-infinite depth. In terms of the base gameplay, TF2 takes its biggest inspirations from classic arena shooters. This means there is a great focus on single-shot weapons (Hit-or-Miss, some would say), advanced movement mechanics (like rocket jumping), and individual player skill. Thanks to the later additions of custom weapons and the resulting near-endless permutations of weapon loadouts, Team Fortress 2 is a game with near infinite room for experimentation and growth. Aside from the gameplay, TF2 also boasts a beautiful cel-shaded art style and a cast brimming with character. There are a number of Pixar-quality shorts starring these characters, as well as a comic series and countless in-game interactions that fill out this world with a character. Games like Fortnite and Overwatch owe TF2 for a lot of the elements that make them great, and particularly dedicated fans still prefer TF2 for this reason. That being said, TF2 isn’t perfect either. The biggest problem that comes to mind is the lack of developer support. While this is somewhat expected after nearly a decade of new content being added to the game, TF2’s sizeable fanbase still wants more- and is ready to make it, too. 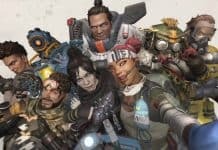 Unfortunately, Valve as a company doesn’t lend itself to maintaining existing games, and after so long, TF2’s support has dropped significantly in favor of other projects. While TF2 is still an amazing game that we thoroughly recommend, don’t expect a constantly-evolving experience a la Overwatch or Fortnite. Additionally, despite the many innovations and additions made over the years, this is still ultimately a game released in 2007. 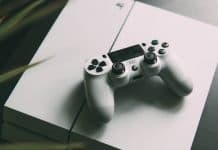 This means that it isn’t quite as beginner-friendly or accessible as a lot of modern titles, so you may need to spend more time than you’d expect to tweak your settings for the ideal experience. 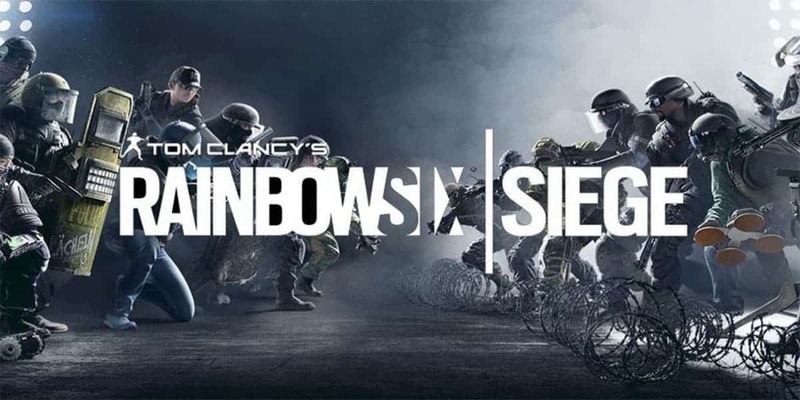 Rainbox Six Siege is many things. First and foremost, the latest and greatest installment in the Rainbox Six series. The original Rainbox Six games could barely be called shooters- they were a lot closer to extensive Real-Time Strategy, except on a smaller scale, with small teams of soldiers going through one small environment. Despite how much more frantic and hands-on the gameplay has become since then, Siege actually returns to those roots in an interesting way but instead of extensive pre-planning and watching the movie play, there’s never a moment where players aren’t in control. Now there are two teams of soldiers, both controlled by players. One of whom must built defenses for their base and one of whom must gather intel and prepare for the titual Siege. The resulting gameplay loop is simultaneously deeply tactical and incredibly hands-on. Even the smallest mistakes can get you killed in Siege, but this also means that particularly skilled or lucky players can turn the game around pretty easily. The gameplay is always deep, engaging, and exciting. After a lackluster launch window, Ubisoft worked hard to bring this game back up to par…and after a lengthy period of revival, they succeeded. Siege is now one of Steam’s most-played games on a regular basis, and it doesn’t seem to be stopping anytime soon. Our only real issue with this game is, its business model. If you want to unlock all the playable characters in a timely manner, you’re going to have to pay a pretty penny for it. If you want access to everything from the start, you’re going to have to pay an even prettier penny. While frequent sales and a cheaper starter edition help alleviate these issues somewhat, it can be somewhat frustrating as a new player to be locked out of so many options and forced to grind. Despite these issues, that isn’t enough to sink Siege. The starter characters are still incredibly fun to play, and the base gameplay is nothing short of incredible, regardless of what edition of the game you play. Newer characters aren’t outright better, either, they just offer different gameplay experiences. It’s less “Pay to Win” and more “Pay for More”. If this game seems interesting to you, we recommend picking up the Starter Edition on sale and giving it a fair shot. If you don’t like it, you can just refund it- no harm done, right? Shot into popularity by the original Warcraft mod, Dota, MOBAs have taken over the PC gaming space in the years since. With the release of titles like SMITE on consoles, this dominance has even expanded outside of the PC space, ensuring that everyone gets a bite of this pie. MOBAs are primarily played from a top-down perspective, focusing on small player-controlled team sizes, taking territory from enemies, and using game-influencing abilities on cooldowns. 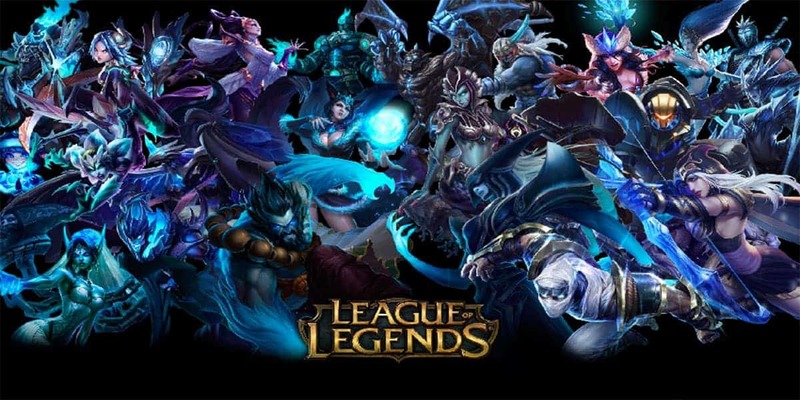 While some of the games in this category may depart from certain MOBA traditions, the basics of small team sizes, map control, and extensive team coordination are universal across the entire genre. Of the MOBAs on this list, SMITE is easily one of the most unique. 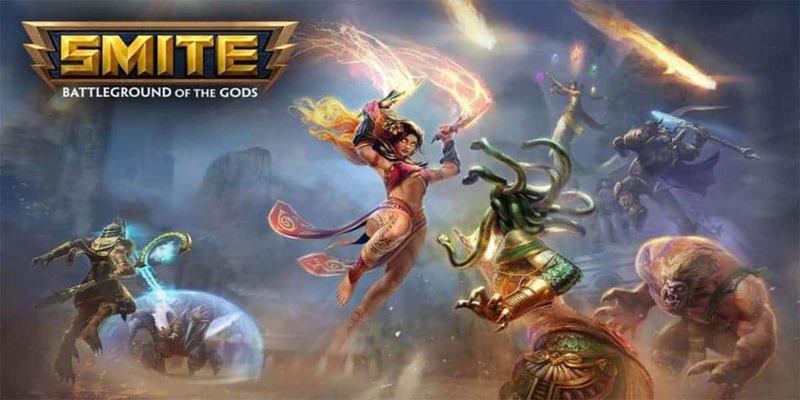 Developed by Hi-Rez Studios, Smite attempts to take a more action-centric approach to the MOBA genre, shifting to a third-person camera while keeping traditional elements like cooldowns, lanes, and bases. Whether or not Smite is the right game for you will depend on whether or not you enjoy MOBAs, to begin with, and how deep into them you are. While this may be an easier transition game for those new to the genre, it won’t be the one to convert an action/shooter fanatic unless they already like the genre. Aside from matters of personal preference, there is also the specter of the business model. Smite is free-to-play and mostly fair, but it has a massive roster to wrap your head around and only a few of them are available at a time through a rotation. While this is somewhat standard for MOBAs in particular, it’s still a poor business model, especially for those coming from the Valve F2P model, which locks little-to-no gameplay content behind a paywall. Additionally, MOBA fanatics may not appreciate Smite’s more streamlined, simplified approach on the genre. Your mileage may vary. 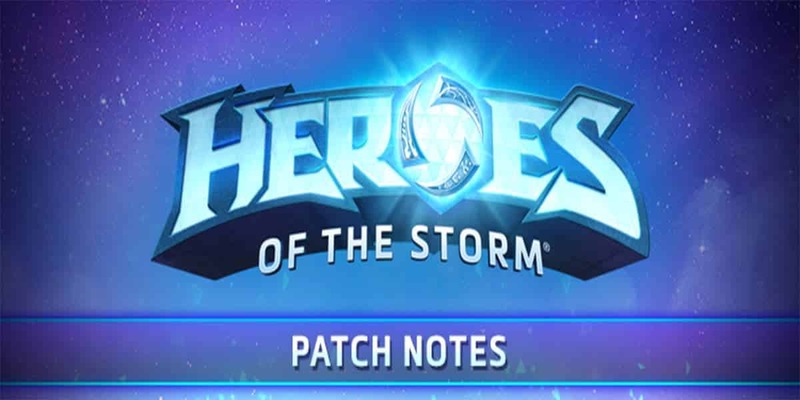 Heroes of the Storm isn’t explicitly billed as a MOBA, but it almost certainly is one. It’s also Blizzard’s take on a Smash Bros-esque crossover game, featuring stars from all of its properties playable as Heroes within the game. If you’re attached to Blizzard’s backlog and love its characters, that alone may be a reason for you to play this one. In addition to the basic MOBA mainstays, HoTS spices things up a bit by having more diverse maps and objectives when compared to other games in the genre. Additionally, it’s a lot more simple than titles like League of Legends and Dota 2, making it easier to get into for newcomers to the genre. Once again, the business model. We aren’t fans of locking any gameplay content behind a paywall in a Free To Play game, especially not when a competing MOBA (Dota 2), manages to do just fine without that tactic. A limited free hero rotation in a crossover game results in a much worse experience for new players, especially where team composition is concerned. First of all, business model! No gameplay content whatsoever is locked behind a paywall in Dota 2- the entire game is open to you, right from the start, no money required. Cosmetic customizations will require a financial transaction, but we consider that a pretty fair trade for the rest of what’s on offer here. 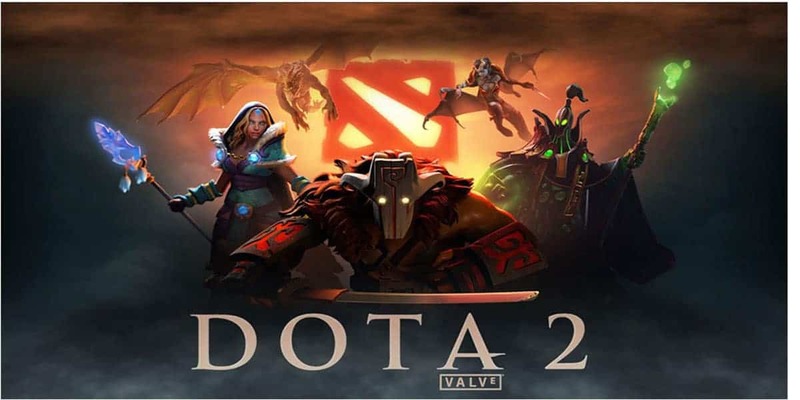 Dota 2 stands apart as one of the most intricate, intensely-competitive MOBAs on the market. It’s also the direct sequel to the mod that gave birth to the genre, still overseen by one of its developers, Icefrog, with the help of Valve. If you’re a longtime fan of MOBAs or deep strategy games, chances are Dota 2 is the perfect pick for you. However, the game is extremely difficult to penetrate. This doesn’t necessarily make it a bad game, but it is the most difficult for newcomers to penetrate out of every game on this list, which is saying something for a genre like MOBAs. That being said, you still have access to everything that matters for the unbeatable price of “Free”. Awesomenauts is perhaps the most subversive of the MOBAs on this list but definitely earns its place here. The biggest change you’ll notice? 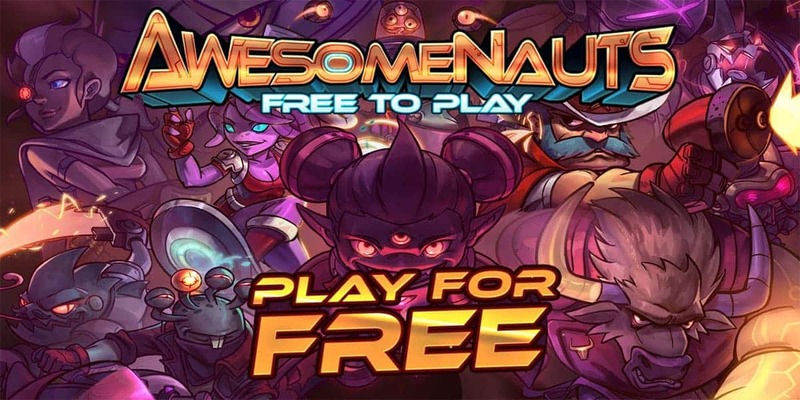 Awesomenauts is played in 2D. This makes the presentation and gameplay a lot more esque to traditional platformers and shooters than a MOBA, but make no mistake: there is still a great focus on teamwork, cooldowns, and other MOBA highlights. These changes, however radical, provide an excellent alternative to traditional MOBA gameplay. For those of you who are wary of the genre but enjoy 2D platforming and shooting- this might just be the right one for you. The biggest issues currently plaguing Awesomenauts are in matchmaking and connection issues. Perhaps due to the recent F2P launch, servers are not working nearly as well as they used to, and this experience isn’t isolated to just a few players blaming lag. Additionally, the “traditional” F2P MOBA business model is still alive and well here. However, this is somewhat alleviated by quicker character unlocks and the ability to try out characters before you buy them without needing to wait for the rotation to come to them. This one is going to be controversial but yeah, League of Legends is our top pick. There are a few reasons for this. Before we get to gameplay, it can’t be denied: League has established a wide roster of beloved characters, and we’d say they’ve done it better than just about anyone else in the genre. Even non-MOBA players are familiar with characters like Jinx and Akali, thanks to their stellar character designs and incredibly memorable connected media. Just as Dota 2 has Icefrog, League has Steve Feak. One might argue that Feak is an even greater authority on the original Dota, which means League of Legends is also competing in the same arena, as a successor to that Warcraft mod from so long ago. Gameplay-wise, League is essentially the middle-ground between the extremes of Dota 2 and SMITE. It’s very much a traditional MOBA with plenty of complexity, but it’s a lot easier to penetrate than Dota 2, and that is reflected in its larger overall player base. Business model. League of Legends pretty much established the hero rotation business model that we dislike so much, and it’s just as bad here as it is anywhere else. It’s tolerable if you play the game and truly love it, though. Yes, yes, we know: “Indie” isn’t really a genre. Fortunately for you, that means we were able to get even more variety into this category! Many of the games in this category actually released in 2018- the indie scene doesn’t move nearly as slow as AA devs do, especially not when it comes to providing a variety of gameplay experiences. A few of these are multiplayer, and a few of them aren’t. Regardless of playercount, however, we happily endorse each of these titles with a glowing recommendation. Is it a fighting game? Pong? Smash Brothers!? Lethal League: Blaze is a lot of things, and it’s easy to see its biggest inspirations. At the end of the day, though, Blaze establishes its own strong aesthetics and identity. 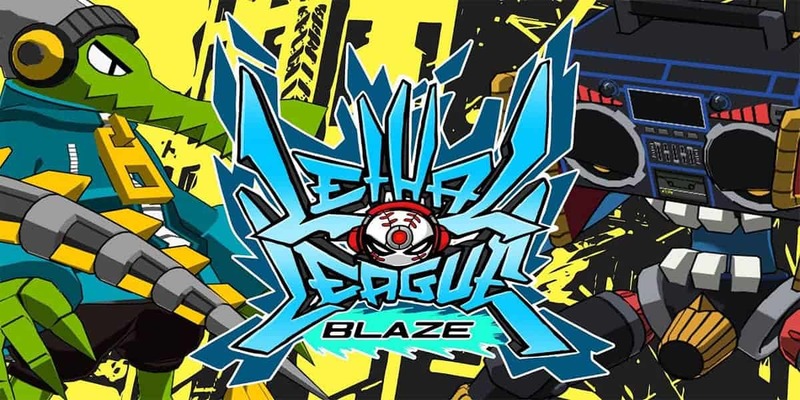 Lethal League: Blaze is a fighting game where players hit a ball back and forth, with it exponentially increasing in speed as the game goes on. This seemingly-basic concept gets taken to ludicrous speeds and extremes, resulting in adrenaline-rich game-play. In addition to the basic game-play, there are a ton of different modes available to spice it up. The game is actually playable with up to 4 players at once as well, making it hectic in a way that few other fighting games could ever hope to be. In addition to the excellent game-play, Lethal League: Blaze also boasts an incredible soundtrack and plenty of great character designs. This game is truly brimming with personality in a way that most other titles aren’t, and it shines through constantly. There aren’t a ton of actual issues with this one- it’s mostly just a matter of personal preference. It can be a little more expensive than you may be used to for an indie game, but if it suits your tastes it’ll be worth every cent. If you aren’t ready to put down $15-$20 on an indie game you’ve never played before, we recommend checking out the original Lethal League first. It’ll be much cheaper, and it should help you determine whether or not you enjoy the base gameplay enough to upgrade to this one. Also, this game only launched a few months ago and it seems the matchmaking is questionable at best. This should be straightened out over time, though, and shouldn’t prevent you from playing- even single-player, this game is a great time. Rivals of Aether is a Smash Bros-inspired “platform fighter”, rendered with gorgeous pixel art. While its roster of characters doesn’t quite stand up to Nintendo’s All-Star lineup, they all look and play in unique and satisfying ways. With the addition of DLC, characters like Ori and Shovel Knight have also made their way into this game. This makes Rivals more of a proper crossover fighting game, but these are still DLC additions- not present in the base game. We’d be remiss not to mention the superb base gameplay here. 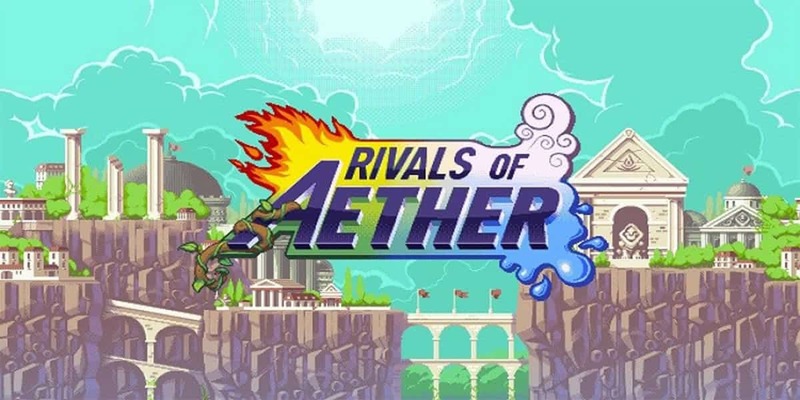 Rivals of Aether takes a faster, more combo-centric approach on the Smash Bros formula, making it ideal for competitive players. Of all the Smashlike games we’ve played, we feel like Rivals nails it best- if not slightly better than certain Smash titles. That being said…there is an elephant in the room here. The DLC. The base game already sells for $15, and as excellent as it is, you’re missing out on quite a lot if you don’t buy the DLC as well which pretty much raises the total cost of the game by about $45. This is a lot to ask for any game, much less an indie title that has been out for the better part of two years now. We highly recommend even the base game on its own but for the DLC at least, wait for a sale. 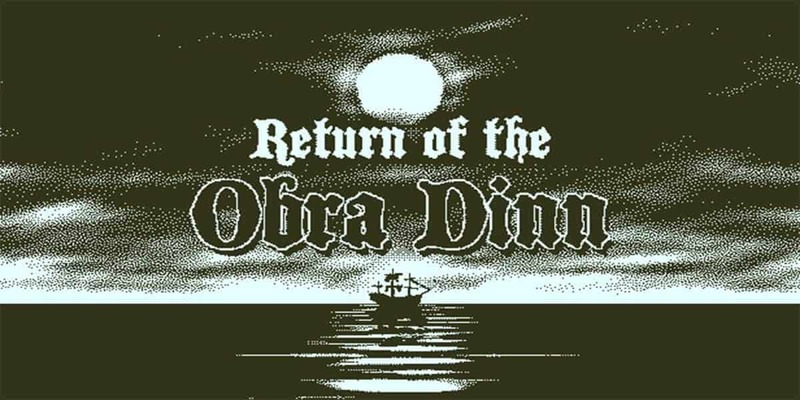 Return of the Obra Dinn is a superb mystery title, with a refreshing focus on investigation and story. Gameplay-wise, this isn’t a very action-packed title instead, it’s all about solving deep logic puzzles and paying attention to every little piece of info this game gives you. If you enjoyed Papers, this is from the same developer. In addition to the game-play, the soundtrack and graphics are incredible. So, make sure you have a good graphics card to support it. The sheer style of this game is outstanding, boasting a unique black-and-white aesthetic that looks like it was pulled straight out of a silent film. Fortunately, it’s far from silent- the voice acting and soundtrack fill the rest of the experience with undeniable atmosphere and charm, ensuring an immersive experience. There aren’t really any issues here, but this game definitely won’t be for everyone. Even for those who it is right for, the game doesn’t do a particularly good job of teaching you how to play it, which can make it a bit difficult to penetrate for new players. Dead Cells is a game that blends Metroidvania/roguelite into one sweet, sweet package. The savvy among you probably already see a problem there. A staple of Metroidvania games is a reliance on backtracking and upgrades revealing new areas to explore- you can’t exactly accomplish that with randomly-generated areas, can you? Well! no, you can’t. But certain areas in the game keep some consistency, and the roguelite elements encourage you to quickly improve and make it farther on each run. While permadeath is here in spades, you still unlock permanent abilities that stay across lives, ensuring that you’ll always be gaining new options as you get further and further into each run. The combat is also sick. 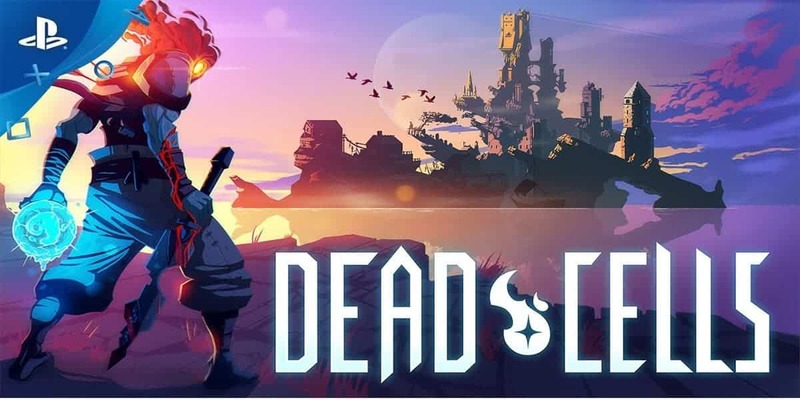 If you’re a fan of Bloodborne-esque combat, that moves fast and hits hard, Dead Cells is exactly the kind of game you should enjoy. If you’re tuned into gaming, chances are you’ve already heard praise about how fast, responsive and satisfying this game is- everything you’ve heard is true. This game is difficult. Seriously difficult, in ways that arguably aren’t even fair. While roguelites are tough by nature, they also tend to be much better at teaching you and helping you improve- Dead Cells is nowhere near as forgiving. Recent updates to the game have also seen it dramatically increase in difficulty, to the chagrin of many of its players. This is still an excellent game that feels good to play- but be aware that it is regularly changed in pretty big ways, and you may not always like how it changes. Everyone’s favorite platformer of 2018 is Celeste, a platformer packed to brim with tight controls and platforming challenges. If you’re a fan of platformers, skip the rest of this section and just buy this game already- you won’t regret it. If you’re a little bit more discerning, keep reading. 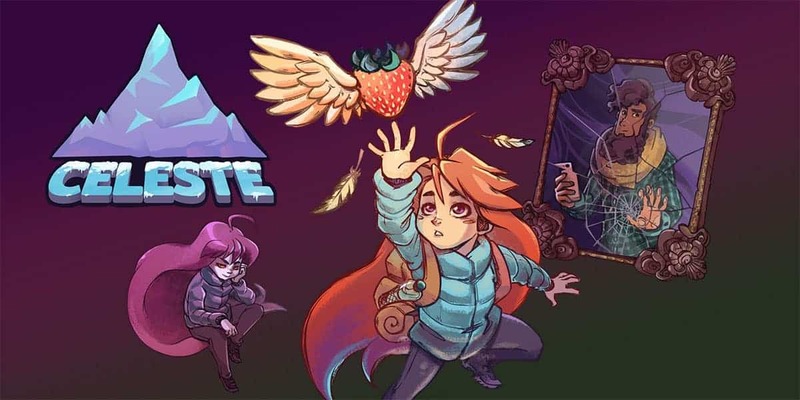 Celeste is a platformer following the character of Madeline, attempting to climb the titular Mountain. Understating this severely, this is an ordeal, and the game will push you hard to improve and get better every step of the way. However, the escalation of challenge is quite reasonable…and the story that comes with it will do a lot to help you get through it. The story of Celeste is primarily about overcoming mental illness and your own limitations, and this has drawn many people to this game. As long as you aren’t frustrated too easily and look at each death as a learning experience, this will be a great game for you. Doubly so if you enjoy challenging games already. But if you’re overwhelmed by the challenge presented, and aren’t able to step up to meet it, you won’t have a good time. The same applies to those who simply don’t like platformers, though that does beg the question of why you’d pick up a game like this in the first place. If you like platformers and don’t mind a game pushing you to your limits, grab Celeste. If you don’t like these things…you may want to move along. Last but not least, what are the best single-player games available on the PC platform right now? Despite the image of PC gamers as people drowning in shooters, MOBAs, MMOs, and other multiplayer time-sinks…sometimes we like getting immersed in a single-player experience just as much as anyone else. If that sounds good to you, hop in. The Witcher 3: Wild Hunt is probably the biggest, most immersive single-player experience in gaming. The only other game that really competes is Breath of the Wild, but that one isn’t on PC, so it isn’t on this list. Despite the “3” billing, don’t worry: you don’t need to have played previous Witcher games or read the books to get immersed in this game. You’ll obviously get more enjoyment out of it if you’re already familiar with the source material, but this game serves as a perfectly fine jumping-on point for The Witcher universe at large and is arguably the best incarnation of it yet. The Witcher 3 is one part adventure game, one part RPG, one part action game, and one part gaming PC benchmark. Seriously, amp up the settings and just about any system can be brought to its knees: maxing out this game is a genuine accomplishment for anyone who isn’t using a $2000 gaming PC. Everything about this game, from the monster hunting, exploration, story, sidequests, graphics, and characters is of impeccable quality. The two DLC packs also add their own additional areas to the game, and a ton of new story content- unlike most DLC, you really get your money’s worth here. 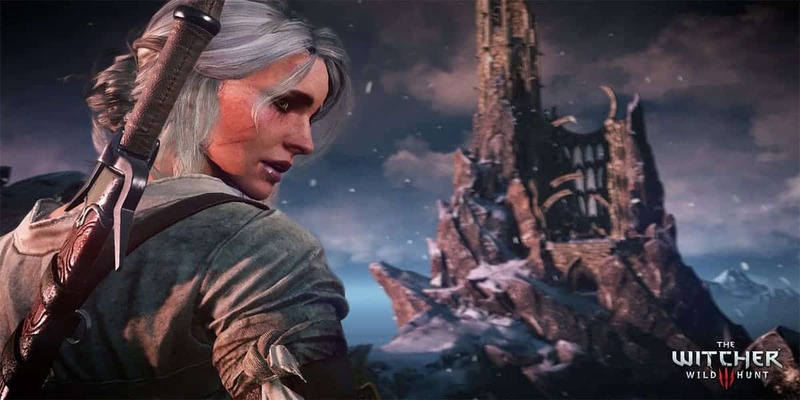 While AAA gaming has its fair share of issues, The Witcher 3 shows what happens when a AAA game does everything right. Despite how “mainstream” this game is compared to its predecessors, it can still be pretty difficult to penetrate from a gameplay perspective. This comes into play most often when you’re hunting monsters, where you’ll be spending hours inside menus in preparation. This game has a lot of complex crafting systems, and they can be a lot to wrap your head around if you just want to explore and kill stuff. This game is made for people who want to immerse themselves completely in a fantasy world, including the complexities of prepping for a monster hunt. Keep that in mind, and you’ll be okay. 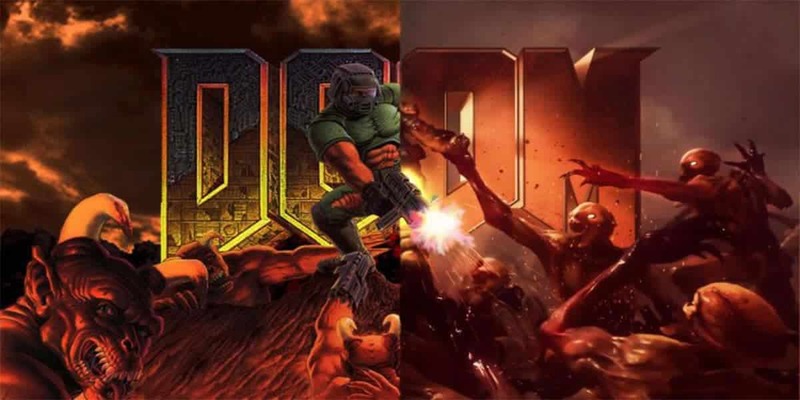 This phrase has become synonymous with Doom since the release of Doom 2016, but what people may not know is that it actually originates far earlier. It’s actually from a Doom spinoff comic book, of all things, and twenty years later it came to be used in a mainstream DOOM reboot. Despite the words “mainstream” and “reboot” used there, don’t worry. This is still very much the DOOM you know and love from the 90s. It has the same fixture on hyper-violence, high-speed, and wiping out hordes of demons…albeit with more grisly detail than possible before. DOOM is a rapid-moving FPS that plays and feels quite a lot like the 90s arena shooters of old, but updated a little bit with modern technologies and sensibilities. If you love FPS, especially classic FPS, this is the game for you. There’s a reason this game is in the single-player category: the multiplayer is not great. If you’re getting this game, don’t come into it expecting a great multiplayer shooter experience: the appeal of Doom 2016 is almost solely its campaign, and not anything else. That aside, it’s a pretty good game, and the different difficulty levels ensure that it should be just as challenging or accessible as you need it to be. Undertale is an indie game, yes, but we don’t think it’s fair to relegate it to that category. Undertale is a blend of the bullet hell genre and a traditional RPG at its core. This may sound like an unusual combination, but it results in RPG gameplay that’s just as engaging as an action game without losing any of the customization and depth. Spoiling as little as possible, Undertale is also a game wherein the characters are very much aware of the fact they’re in a game. At least, some of them are- and the impacts that this awareness has on the story can change drastically depending on how you play it. Undertale is an RPG that rewards player choice with three main endings, and countless branching paths within them. There are so many different ways for you to experience this game, but the best way is to go in blind on your first playthrough and let the game have its fun with you. Truthfully, we don’t have anything bad to say about this one. The worst we could say about Undertale is that it lacks polish in some areas, and feels a little too much like an RPG from the early 90s, rather than the innovative modern game it is. This is ultimately a minor nitpick, though. Undertale is a superb game that everyone should play at least once. Is there anything more serene and peaceful than the ocean? If you’re like us before playing this game, the answer is probably no. If you’re like us after playing this game, the answer is yes. Absolutely yes. The ocean is thrilling and terrifying, and Subnautica understands that better than just about any other game out there. 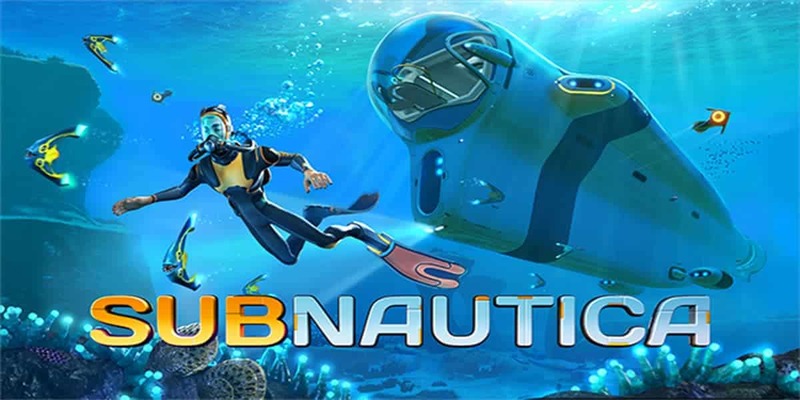 Subnautica is a survival game where you’re trapped in the ocean of an alien planet. You’ll be fighting a lengthy, intense battle for survival against the elements, and despite the game’s low ESRB rating, it’s full of tension and heart-pounding moments. Playing in VR and exploring the darker depths of the ocean can turn this one into an outright horror game if you aren’t careful. If the idea of getting stranded in an alien ocean and needing to struggle and explore to survive appeals to you…this is the game for you. Aside from differing personal preferences, this game does have one pretty big problem. The optimization, or lack thereof, can make this game very difficult to play on lower-end systems and budget gaming PCs. Even if you can run it stably, you’ll also notice a lot of pop-in, even at high settings, thanks to engine limitations. We thoroughly recommend Subnautica…as long as your PC can run it, and the occasional pop-in won’t totally ruin your immersion. Hitman 2 is a polished, intricate stealth sandbox the likes of which hasn’t been seen since Metal Gear Solid V, and likely never will be seen again, until Hitman 3, that is. If you love stealth games, Metal Gear especially, Hitman 2 is a must-buy. Period. Even if you don’t own Hitman 2016, don’t worry: you can get most of that game’s content as DLC in this one, so you aren’t missing out on anything if you decide to grab Hitman 2. Unlike Hitman 2016, Hitman 2 is a complete game. No stupid episode release scheme, no abundance of microtransactions to speak of: if you buy Hitman 2, you get a complete game that’s full of things for you to do. Hitman 2 is a third-person stealth assassination title, and each of its stages are miniature sandboxes. No matter how you choose to take out your enemy, you can guarantee that there are dozens of other ways for the job to get done. If you have a sense of humor, you’ll also discover that many of those killing methods are hilarious. As long as you like stealth action games, this is going to be great. What won’t be great is performance. Hitman 2016 was already bringing most PCs to their knees, and unfortunately 2 is no different. In fact, most report that Hitman 2 seems to perform even worse, despite not much in the way of significant graphical improvements. If you’re going to get this game, make sure you run the demo first to ensure your system can actually handle it. If not…you may want to get a new GPU, or pass on this for now. Last but not least,honorary mentions! These are games that we couldn’t quite recommend as “The Best” in other categories or simply didn’t fit into them. These are all well worth playing on their own as well, even if they fell into an “Other” category. Of the categories, this one is the most heavily impacted by the specter of “personal preference”. These are games that we personally love the most, even if they aren’t as popular or praised as other entries on this list. Warframe is a Free To Play third person shooter but that isn’t quite accurate. It’s is a Free To Play MMO! It’s an action game! It’s a flying, surfing, wall-running simulator! It’s all of those things. Warframe offers a ton of massive sci-fi landscapes to explore, and plenty of ways to do it. This includes outright flying, surfing at high speeds, wall-running, and more. 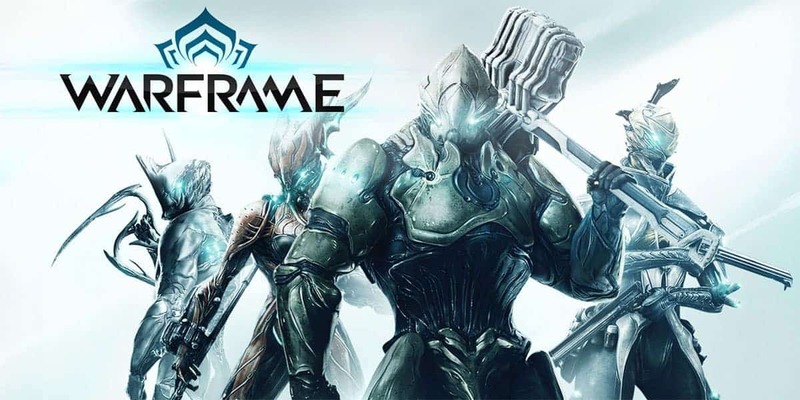 If you love moving fast, especially in multiplayer games, Warframe is the right game for you. Warframe is that, but faster, better, and free. (Mostly- your typical F2P microtransactions are still here.) If that isn’t a good pitch, we aren’t sure what is. The main issue with Warframe is its economy. If you’re an impulse buyer, that is. The vast majority of Warframe can be accessed without paying a single cent, as long as you’re patient and have time to spend. The grind isn’t nearly as brutal here as it is in a lot of F2P games, either. However, there are ample DLC packs and microtransactions available that you may be tempted to spend money on. Getting one or two is just fine, but past that: stop. You don’t need to spend a lot of money to get what you want from this game, and overspending is a very bad idea in general. 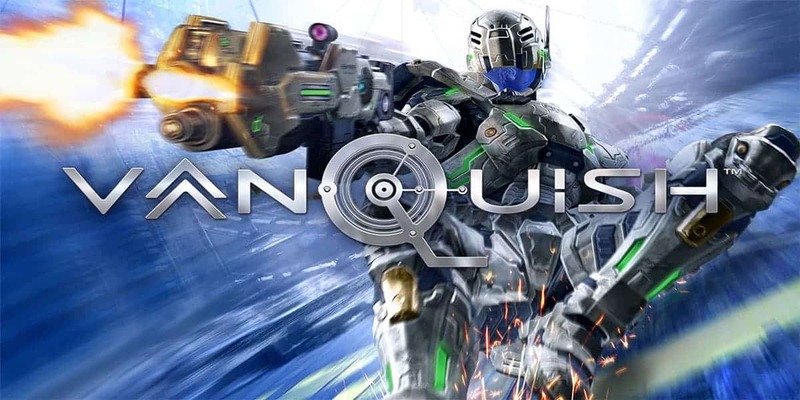 Vanquish is a third-person shooter from Platinum Games, aka the studio responsible for some of the best character action games of all time. Vanquish was originally released for the PS3 and Xbox 360, but the limitations of those systems held back the game significantly. The PC version, however, makes a much better game. First and foremost, you can now play with a mouse, which adds a level of precision impossible on traditional console setups. Unlocked framerate and resolution also allow this high-speed third-person shooter to be pushed even farther than before, in terms of both responsiveness and visuals. If you love action-packed games and want to see what a shooter would be like with a super-speed serum injected, this is the game for you. The original Vanquish suffered because of relatively bland-looking graphics, and far too many repetitive stages. Unfortunately, this version of Vanquish still suffers from those issues, even with all the enhancements to the base gameplay. As long as you don’t play it all in one sitting, though…that shouldn’t be too much of a problem. It’s still an excellent game, and there’s nothing else quite like it. While Monster Hunter has always been a successful franchise, it hadn’t quite exploded into the mainstream until the release of World. With the release of World on PC and consoles, Monster Hunter has expanded to a wider audience than ever, with its biggest game ever. If you aren’t familiar with Monster Hunter, the game is pretty much all about hunting monsters with friends. 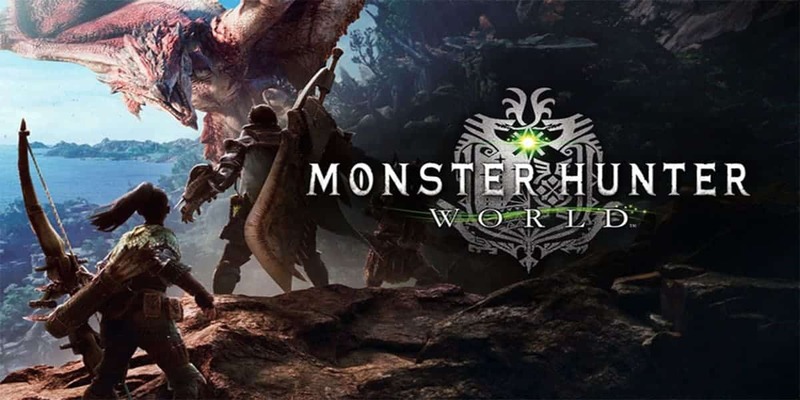 It has very deep RPG and action mechanics to go along with these hunts, as well as advanced AI for the monsters you hunt. And everyone loves it. There’s no shortage of monsters to hunt and things to do in this game. There are tons of different weapons and playstyles and branching paths to tackle the same objectives. Especially when playing with friends, you aren’t going to run out of things to see and do in this game. However, there are few issues. First and foremost, the menus. You’re going to be navigating a lot of menus in this game, a la The Witcher 3. It’s not quite as extensive as that game, but it can still be a little bit to deal with outside of the hunts. Secondly, performance. This game has some pretty steep performance requirements, and even many mid-range PCs will struggle with it. Finally, the servers. This isn’t a consistent issue, and it may be fixed soon, but many users report problems with the server. (This is being written on January 1st, 2019.) While this is a superb single-player experience, we recommend staying away from this one if you’re only here for multiplayer. 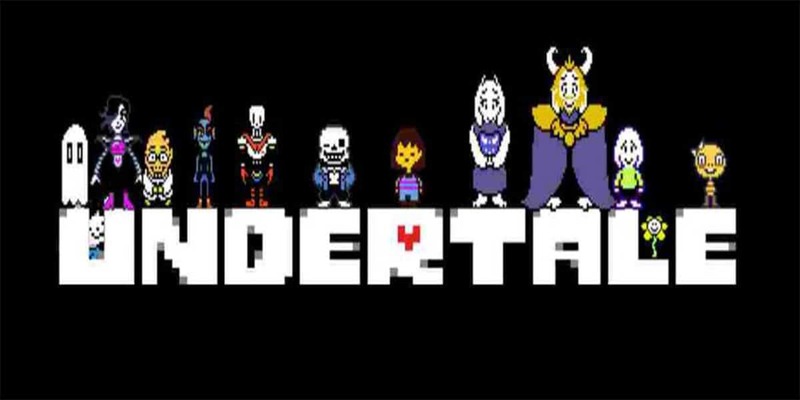 Deltarune is a sequel to Undertale, sort of. Well, not chronologically. It’s more of an alternate universe. And it’s not really a sequel, it’s actually just the first chapter of a sequel right now. Chapter 1 offers roughly 4-5 hours on your first playthrough without pursuing optional content, and those hours are a joy. Remember how we mentioned earlier that Undertale didn’t feel super polished? Deltarune has polish in spades and works hard to improve and enhance the gameplay established by Undertale. More than that, it also presents a surprisingly complete story in its first chapter. We don’t want to spoil too much if you haven’t played it yet. It’s free, though, so go ahead and download it. We highly doubt you’ll regret it. The only problem we have with Deltarune is that there isn’t more of it yet. 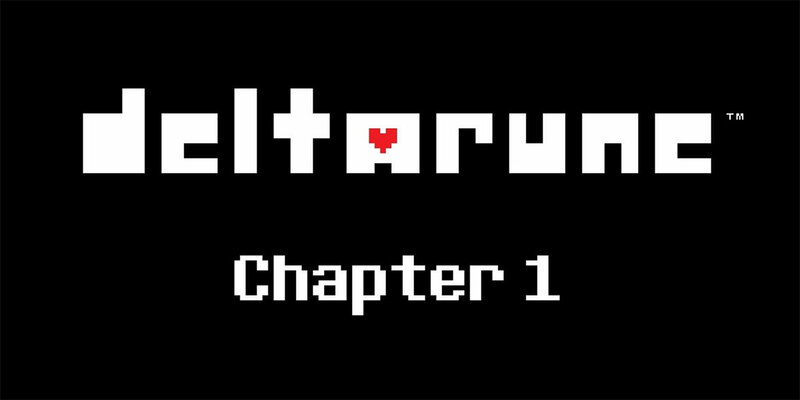 Chapter 1 will leave you wanting for more, and judging by the posts over on Toby Fox’s Twitter, that’s going to be a long wait. Aside from that, the game is impeccably polished and paced, and worth every minute you’ll spend in its world. 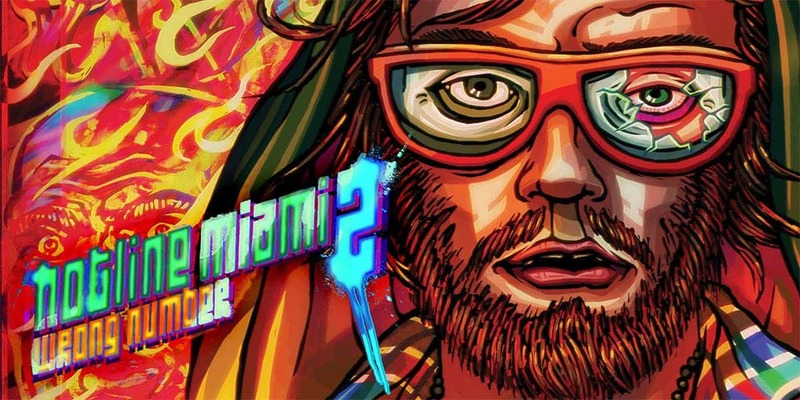 Hotline Miami 2 is the sequel to Hotline Miami, and it amps up everything. There are more playable characters with more extreme playstyle variations, more stages than ever, a Level Editor with a thriving community, and a massive soundtrack of bangers. Hotline Miami 1 and 2 are played in short bursts of brutal action and frequent death. Each “floor” of each stage is a simultaneous sandbox and puzzle box of possibilities. You usually die in one hit, but you revive in a single key press, too. Hotline Miami 2 combines all its elements to create a trancelike playing experience, unparalleled in the action genre. As long as you’re ready to bite back, you’re going to have a great time with this one. Most issues can be resolved by simply “getting good” and changing your mindset. Unfortunately, Hotline 2 is also plagued with too many bugs for its own good. The expansive level design also results in a lot of deaths from offscreen enemies, which never feels fair or fun. These are unfortunate flaws that bog down an otherwise excellent game. But as long as you can handle a little jank…you should have a good time. That was our list of the best PC games out now, and it was quite the undertaking for us. Comment below and let us know: what do you think of our selections? Did your favorites make the cut?